From simple sketches to complex creations, these premium colored pencils and leads have you covered no matter what your latest creation may be. Thick cores of color produce bold art. 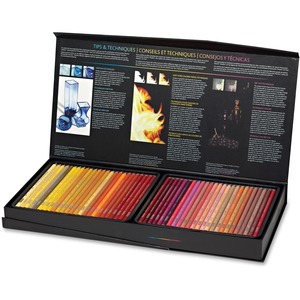 These premium pencils feature creamy, soft cores that are perfect for blending or shading. Create vivid colors in one stroke and subtle hues in the next. High-quality pigments provide rich color saturation. Soft cores are ideal for blending and shading.